This is the SSBU Tier List. This Super Smash Bros Ultimate tier list is a combination of assessments from many well-known names in the Super Smash Bros community. The tier list will be a good reference for early stages of the game (the game has just released for under a week!). Therefore, over time, characters ranks & points will likely to be adjusted along with the current meta of the game. Just make sure that you don’t totally rely on the tier list to make the decision. Just enjoy the game! The short & simple version: this Super Smash Bros Ultimate tier list version is taken from the details tier list table. This list use only the Average point to give you an overall view of where the position of each character is. Details tier list set up will be explained clearer in the full version. The full version: This version will be providing you with as many details about SSBU Tier List as possible. SSBU tier list set up: The Super Smash Bros Ultimate tier list is constructed based on the criteria and calculation below. Gathering the assessments of most well-known players and streamers in Super Smash Bros Ultimate game. Characters that stay on top of any list will have 5 points. The lower their positions are, the lower their points. Characters will be rated in the scale of 0 to 5. 0 point means worst, and 5 points means best. If characters stay in the middle of any list, they will have the points in between depending on the number of the tiers in each list. So, by using the average points from different sources. This SSBU tier list might reflect better accuracy. Just make sure to keep visiting this Super Smash Bros Ultimate tier list for regular points update. This table of Super Smash Bros Ultimate tier list is optimized to be used on mobile devices. However, for best visibility, it is highly recommended to use this table on desktop. With the Super Smash Bros Ultimate: SSBU Characters Unlock guide here, we have two unlock information that you might find them useful to unlock your favorite character. When using this Super Smash Bros Ultimate Characters Unlock guide, make sure you follow the unlock character tips for fast and better results. Characters unlock route (image). Click to go. Characters unlock through scenarios. Click to go. Follow the arrow paths down for each character unlock method. 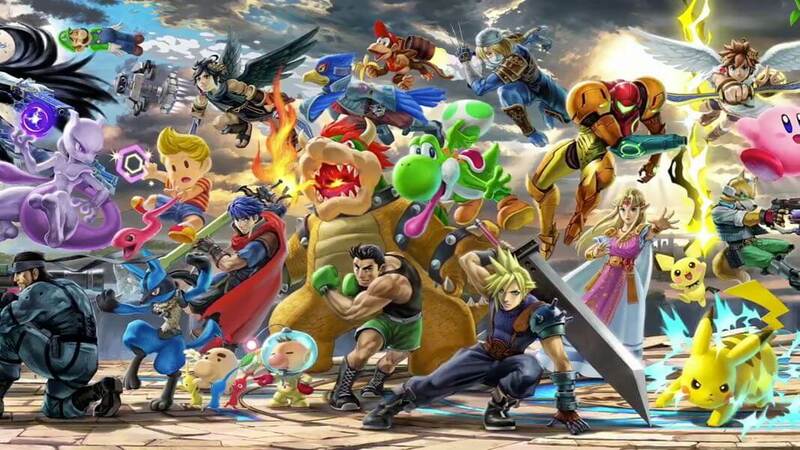 The arrow that points from one character to another represents who you need to play on classic mode to unlock them. Many characters have multiple unlocks. Keep unlocking people down the line to get the character you want. 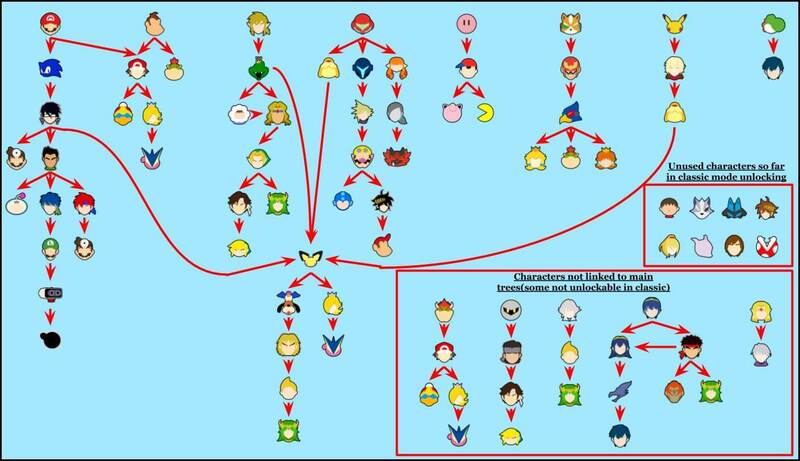 This tree gives you a better understanding on who unlocks who in classic mode, so you can choose which characters you want to unlock first. With the table below, you will know where, when and who you can unlock at each point of Super Smash Bros Ultimate game. If you play WoL for a few matches, then exit out of WoL, you fight a character. Uses the 10 minute timer and Vs. Mode Unlock order. Everybody is in World of Light, including Cloud. Characters can be unlocked from Tourney Mode. Classic Mode unlocks are not random (please check the unlock tree above). Unlocks outside of classic and WoL are in a 10 minute timer. Timer is removed when you exit out the game. The strategy is to play a 1 stock match, self-destruct, unlock a character, exit out of Ultimate, reopen, rinse and repeat. It takes roughly 1 HOUR AND A HALF to unlock EVERYONE! Timer can still be bypassed, this is more of a 2nd requirement to unlocking characters. This table of Super Smash Bros Ultimate characters unlock is optimized to be used on mobile devices. However, for best visibility, it is highly recommended to use this table on desktop. Characters are unlocked through one of 4+ scenarios. Unlocks are not random. If you fail, you can try again in the challenger approaching menu. The fastest way to unlock everyone is roughly an hour. Yes, you can unlock Cloud in World of Light. Meta Knight World of Dark (Mysterious Dimension) R.O.B.